To wake up your Pleasure Wig, or to play with the bangs to get the look you want, use our 2-in-1 Wig Styler to achieve added fullness and slightly change the style. For best results, dry your wig on a wire drying rack first before styling. 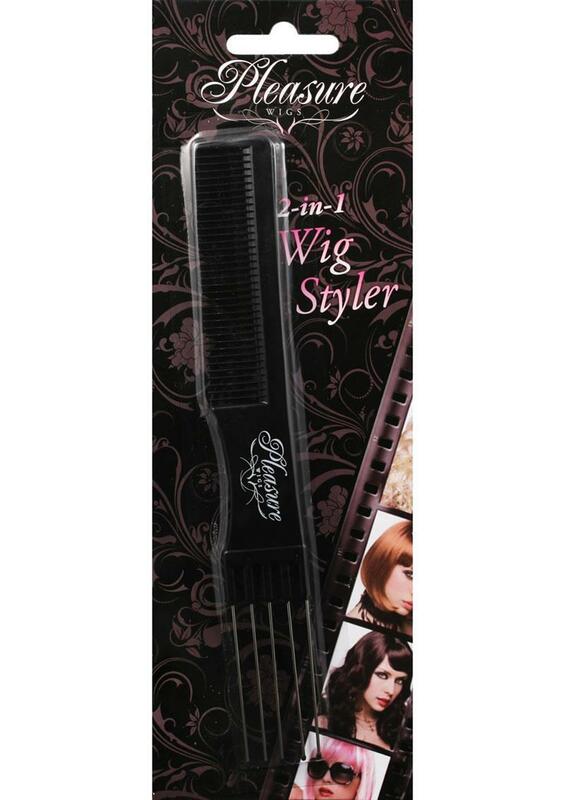 The wig styling comb`s wide plastic teeth creates a smooth or finger styled effect. Spritz a little water on the wig and comb or use the pick for a fresh, natural look. Use the comb for the longer, straighter styles. Use the pick to play with the bags or add more volume.